Background: The core of HBHL will be the application of a novel advanced analytic platform for brain research, NeuroHub, which will enable the development of new models to improve understanding of normal development, enhanced classification of disorders, and better understanding of clinical outcomes for individual patients. These goals will be accomplished through the integration of information from largescale, complex data sets through a secure data-sharing platform, by leveraging state-of-the-art mathematical and computational modelling methods, and by ensuring a close interaction of research groups with a broad range of expertise in neuroscience, computer science, clinical research, and social science. Develop and deploy new analytical methods that simultaneously take into account multiple dimensions (e.g. genetics, imaging, behaviour), multiple modalities (e.g. morphology, structure, electromagnetic activity, haemodynamics), and multiple scales (e.g. protein structure, microscopy, calcium imaging, single-cell recordings, electro- and magnetoencephalography, magnetic resonance imaging and positron emission tomography). Provide new software platforms for curation, integration and analysis of multimodal data. Develop prediction-based analytic frameworks to understand and predict individual differences in learning and performance, as well as disease vulnerability and progression. Develop analytic methods and strategies as part of a common analytic framework that directly benefits other HBHL Research Themes. 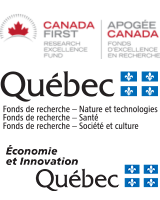 Encourage contribution to the principles of Open Science recently adopted by the Montreal Neurological Institute, including sharing of data, methods and open access to published work. Background: The main goal of this Research Theme is to develop research programs that will focus on understanding, detecting, diagnosing, measuring, modelling and treating human neurodegenerative diseases. Neurodegenerative diseases are diseases that usually affect the brain after it has developed. Their hallmark is the progressive death of neurons. Typically, they are diseases of adulthood and old-age (e.g. Alzheimer’s disease, Parkinson’s disease, ALS, FTD, rarer genetic diseases) but this category may also include neurodegenerative diseases of early life (e.g. schizophrenia, leukodystrophies, ataxias). Research into neurodegenerative aspects of diseases not typically considered primarily degenerative, such as epilepsy and MS, may also be considered. Autophagy, synaptic, mitochondrial and lysosomal dysfunction. Functional and anatomical brain imaging. Genetically unique individuals or commonalities across disease categories; study of rare disease. Early diagnosis and investigation of prodromal syndromes. Neuroengineering (e.g. microfluidics and scaffolds for neural cell and tissue growth, neural organoids, brain/neuron:machine interfaces, wearable and implantable devices). Therapeutics, including biomarker development, gene editing (CRISPR), drug screening, risk factor identification and modification, personalized medicine. Gene-environment interactions as causes of neurodegenerative disease. Enrollment and characterization of patient cohorts, with an emphasis on data sharing and open science. Background: The goal of this theme is to promote research to address both basic-science questions pertaining to the mechanisms underlying plasticity, as well as their application to health, disorders, and other related domains, considering mechanisms that may stretch from genes to socio-cultural influences, and that apply across the lifespan from early development, through adolescence to aging. The theme emphasizes plasticity within the context of human cognitive neuroscience (i.e. the neural basis of human thought and behavior), given the importance placed within HBHL on developing tools and treatments relevant for human application. Animal models can also play a key role in developing better understanding of basic neural plasticity mechanisms or to test the consequences of certain types of interventions. Research supported via this theme will focus on two principal axes: a) Learning and Performance, and b) Resilience. Characterize the neural changes associated with plasticity, whether adaptive or maladaptive, using multi-modal and interdisciplinary approaches. Improve cognitive, perceptual or motor performance in healthy individuals, including aging or other vulnerable populations, and in educational or workplace settings. Promote recovery from neural dysfunction, damage, sensory loss, or from behavioral/mental health disorder. Promote resilience by preventing or delaying functional impairment from disease or aging, and by predicting individual outcomes. Develop tools, procedures, products, software, devices, etc. that enable optimization of plasticity in the above contexts. Background: Canada faces dynamic changes in its economy and society owing to globalization and mass migration, and ongoing economic and health disparities between urban, rural, migrant, Indigenous, and non-indigenous populations. There are increasing pressures to establish an inclusive, knowledge-based economy that addresses these disparities and is competitive on the global level. Success depends on promoting brain health and functional capacity across the population. The goals of this Research Theme are to: 1) understand the forces that shape individual and population differences in brain health and function across the developmental continuum; 2) increase capacity to conduct neuroscience-based research programs that address major societal issues to inform evidence-based public policy; 3) better integrate findings from neuroscience and social science research to promote wellbeing in the lives of all Canadians in family, workplace, educational and community environments; 4) target under-served and more disadvantaged Canadian communities; and 5) emphasize the promotion of brain health in Canadian youth. Brain health in a multicultural and Canadian context, e.g. population neuroscience and brain health projects that integrate cultural and ethnic diversity as a major theme. Brain health of mothers, caregivers, children, and adolescents, e.g. research targeting the determinants of women’s brain health with an emphasis on the pre-conception and pregnancy periods of reproduction when the influence on offspring neuro-development is profound and intervention may be most successful. Brain health and function in the workplace and educational environments, e.g. prevention of mental health issues and promotion of resilience, creativity and intellectual capabilities in the classroom and workplace. Socio-economic determinants of brain health, productivity and treatment outcomes, e.g. the development of interdisciplinary projects that examine the social determinants of brain health, including the influence of economic inequality, racism and discrimination, and that can lead to evidence-based intervention and prevention programs, including those focused on the determinants of individual differences in resilience and susceptibility as well as on the mechanisms (at all levels of analysis) that mediate the links between socio-economic and other contextual factors and brain health. Brain health in Indigenous peoples, e.g. by building the relations and establishing participatory models for brain health research with First Nations, leading to culturallyappropriate prevention and intervention programs. ‘Big Data’ approaches to the study of determinants of resilience/ susceptibility and capacity. This involves high-dimensional analyses of large data sets that reflect biological (genetic/epigenetic) and social contextual or environmental (family, culture, socio-economic position, urbanicity) influences as well as measures of brain health and function. Such analyses should aim to understand how networks of genes in the brain interact with dynamic environmental influences to define the development and function of neural circuits, and how these circuits operate within context to define brain function across the lifespan. Web-based approaches to research and intervention in brain health, e.g. development of innovative technologies (e.g., mobile devices) for assessment and enhancement of brain function (neurophenotyping) in real world settings, and web-based, non-pharmacological interventions (e.g., web-assisted cognitive behavioral therapies, mindfulness training, etc.). Such programs should be developed with respect to the needs and distinct features of diverse target populations.